PaperCut MF - print, copy and scanning control for Konica Minolta MFDs. Output management and cost recovery on Konica Minolta multifunction devices. 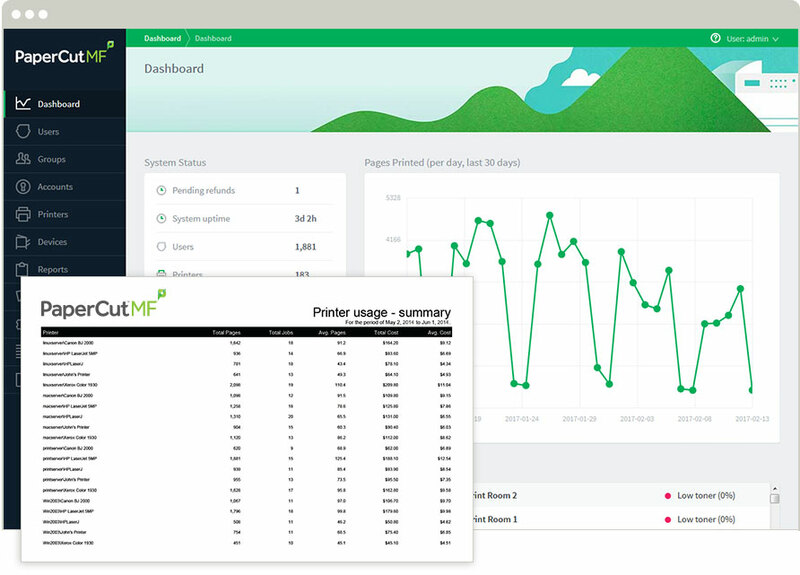 Calculate, recover and reduce print output costs across your organization with PaperCut MF on Konica Minolta printers and multifunction devices. Secure documents with Find-Me printing, user authentication and Integrated Scanning. Equip users for BYOD print from any browser, iOS or Chromebook. Supported by your Konica Minolta Reseller and a worldwide network of experts. With an all in one home screen, where users can print, scan and access device functions. Scan Actions for secure document scanning to onramp into existing business processes. Just like print control, SysAdmins can define who can scan, and to where, including email, shared network folders, and a growing list of cloud storage providers. 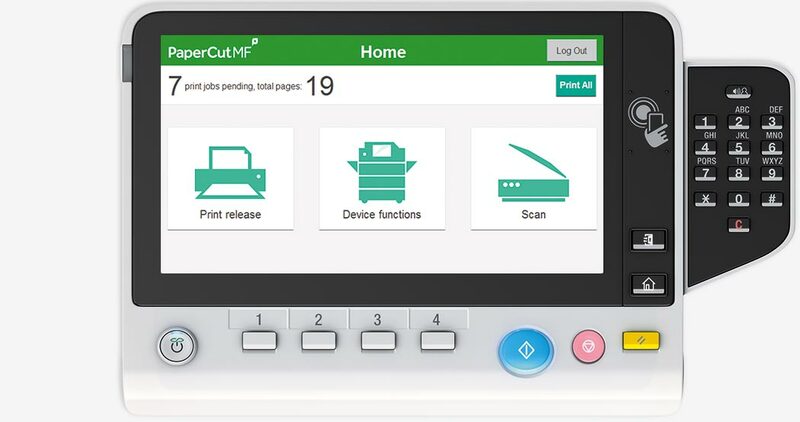 See the PaperCut MF interface in action with our walkthrough video for Konica Minolta Multifunction Devices. PaperCut embedded supports any Konica Minolta device with OpenAPI 3.1 and a hard drive installed. Devices supporting i-Option interface must have the i-Option license installed which may require an LK101 upgrade kit from Konica Minolta. Production devices offer a more limited version of the UI than other standard UI devices. All Production Printing (PP) models must use the IC602 controller. Some older devices also require additional memory when running OpenAPI applications (such as PaperCut MF), please contact Konica Minolta for information. i-Option support is required for Integrated Scanning to work. Netfront browser is not supported from 18.2.